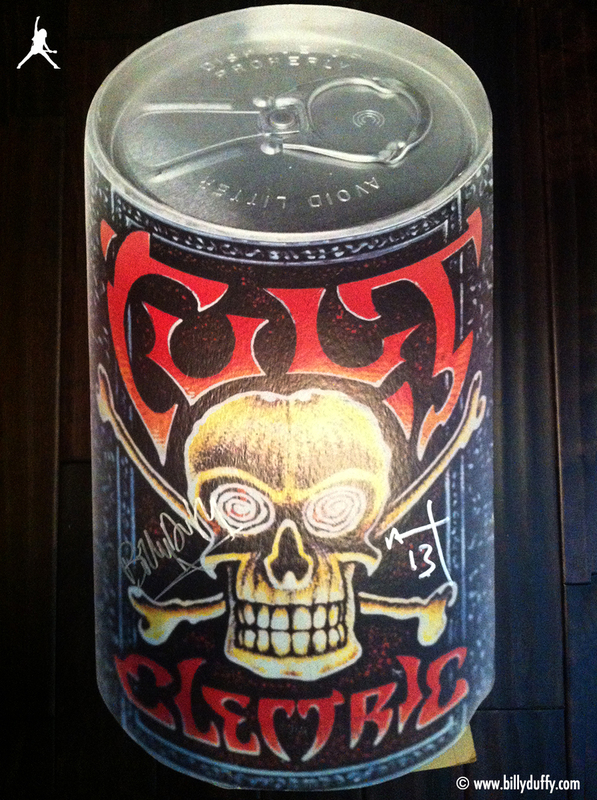 Like the actual beer can depicted, this giant cardboard stand was produced as a promo item for the original release of The Cult 'Electric' album in 1987. It was made by the band's U.S. Record company and folds out so the can appears to be sitting by itself and is approx 1m x 0.5m in size. This one was signed by Billy and Ian in 2013 whilst on the 'Electric 13' tour.